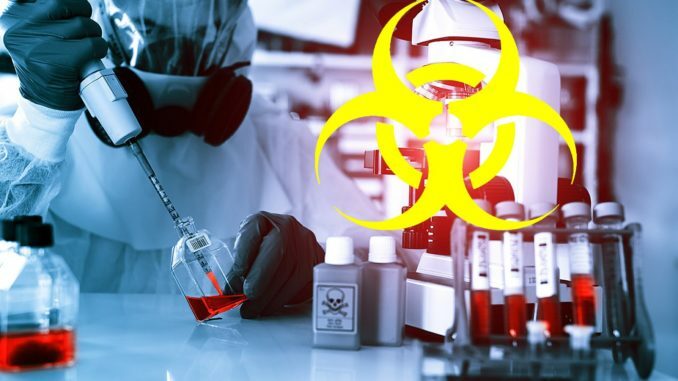 A former Georgian minister has claimed that a US-funded facility may be bioweapons lab. The US-funded medical facility in Georgia is most likely a cover for a bioweapons lab used for disturbing experiments that are banned in the US, according to a Georgian former-security minister Igor Giorgadze. He says he recently obtained leaked documents exposing dark secrets about the facility. Locals complain of headaches, nausea, high blood pressure and dizziness when chemicals are being burnt at night in the laboratory which is situated a couple of hundred meters from their homes. According to Bulgarian journalist Dilyana Gaytandzhieva US diplomats are involved in the transportation of human blood and pathogens, as diplomatic cargo, for a secret military program. Georgia has flat-out rejected the allegations. RT reports: The center, which is officially called the R. Lugar Center for Public Health Research, is described as a “brand new facility” tasked with the “prevention of proliferation of technology, pathogens and expertise related to the development of biological weapons” by the National Center for Disease Control and Public Health (NCDC), an agency of Georgia’s Health Ministry. The task is said to be part of a cooperation program between Georgia and the US. However, Igor Giorgadze, a former state security minister-turned opposition figure, says he recently obtained a trove of leaked documents which might expose some dark secrets at the facility. The lab, which was “established on the territory of a … former military base some 17 kilometers from Tbilisi” as part of a US-funded project back in 2004, “was never meant to be a medical center and had nothing in common with a hospital,” Giorgadze told RT. It was notably overseen by the US Defense Threat Reduction Agency (DTRA), a combat support agency of Pentagon which deals with weapons of mass destruction. Giorgadze points out that the facility has been the subject of rumors, and seemingly linked to mysterious incidents from the very beginning. Located in a Georgian village, it opened in 2011. “The people who lived there complained about frequent headaches, sickness and a strange smell” which they said emanated from the lab, the ex-minister said. The beginning of work at the laboratory strangely coincided with an increase in the incidences of some diseases on Georgian territory, he added. The leaks include documents related to several US grants for research on Crimean–Congo Hemorrhagic Fever, and other disease causative agents. Coincidence or not, the NCDC data shows that the first recorded outbreaks of Crimean–Congo Hemorrhagic Fever in Georgia took place in 2009-2012, while a deadly strain of Orthopoxvirus was first recorded in 2013. Giorgadze says the leaked docs might shed light on some shady and harrowing practices at the lab. Some of them allegedly involve experiments on people that sometimes ended with the deaths of test subjects, while other files imply some military-related research and the development of biological weapons. The data obtained by the former security minister amounts to 100,000 pages, according to his assessment. Giorgadze has even created a special website, where he said he would gradually publish all the documents to make them publicly available. But the 1 percent of the materials published so far already gives an insight into the allegedly malign activities at the lab. One example is a United States Patent for the development of a remotely controlled “device for the aerial release of mosquitoes” aimed at spreading a “toxin suitable to be transmitted by mosquito bite.” “The present invention is capable of delivering lethal and non-lethal toxins, including any agent that can be carried and transmitted by a mosquito,” the description of the patent says. Another no less unnerving US patent found among the leaked documents describes a “capsule” that looks like a “cartridge for a firearm”, which is “designed to release a toxic agent when struck by the firing pin of the firearm.” The device is apparently aimed at targeting the troops of a potential enemy. Another document contains a description of “hollow point payload capsules” that could potentially be filled with chemical or biological weapons. The documents “openly state that such devices are designed for conducting sabotage operations,” Giorgadze told RT. The facility “might be potentially conducting some experiments that are banned on US territory,” the ex-minister believes. He adds, however, that he still does not have enough data to make any conclusive statements on that subject. It is still unclear what exact role the Lugar Center played in the development of such weaponry, Giorgadze said, calling for an expert assessment of the leaked documents. A separate batch of documents published by Giorgazde shows some highly controversial results in the treatment of people diagnosed with Hepatitis C with medicines developed in the US. The papers show that almost three dozen patients died, with their deaths attributed to “unknown reasons”, or simply not explained. All patients who suffered from various adverse effects or died were treated with Sovaldi – a US drug once hailed as a revolution in the treatment of Hepatitis C. What looks even more sinister is the fact that 27 patients died on the same day. “What happened to them? Were they infected with something? Where were they buried? We need answers,” Giorgadze said, noting the chilling incident might be just the tip of the iceberg. The documents contain almost none of the patients’ personal information, except for their age and gender in some cases. RT could not independently verify the authenticity of the documents presented by Giorgadze. The former minister and veteran intelligence officer, who does not rule out that the documents might be a very elaborate fake, now wants a group of experts to carry out an independent investigation. He has said he will ask the US President, Donald Trump, and the US Congress to launch an investigation into the lab’s activities. Meanwhile, they have already drawn the attention of the Russian Defense Ministry, which has said it will conduct its own investigation. 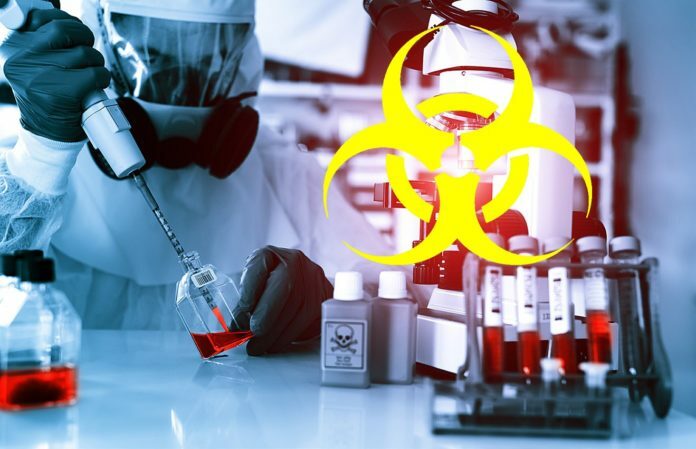 “The documents suggest possible violations of the [Biological Weapons Convention] by the US side, which ratified it in 1972,” the Russian ministry said in a statement. NEW Anonymous Video – ISIS / FSA – The Puppet Games.